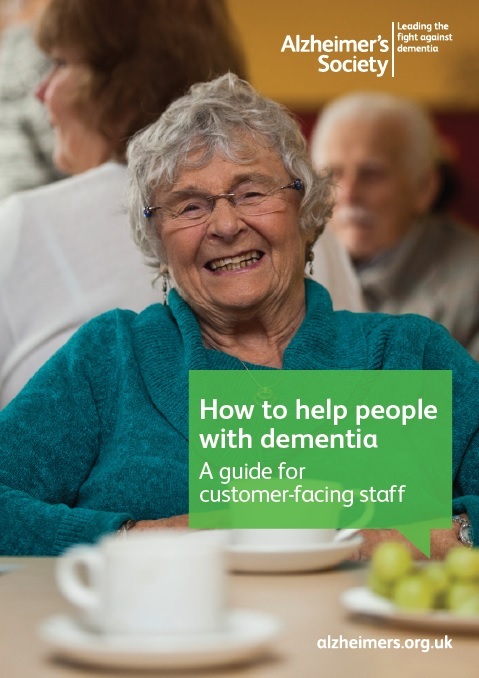 This guide gives key tips and guidance for staff in how to assist customers living with dementia and explains some of the characteristics of dementia. It has useful checklists and strategies for situations which staff may find hard to deal with. Sources of more information are given along with a helpline phone number at the Alzheimer’s Society.